John Krasinski, Emily Blunt, and Millicent Simmonds recently discussed some possible storylines for A Quiet Place 2. Krasinski ended up with a surprise hit on his hands after A Quiet Place took over movie theaters earlier this year. In addition to directing and writing the monster movie, John Krasinski starred alongside his real-life wife Emily Blunt, Simmonds, and Noah Jupe. The director admits that he wasn’t originally into the idea of returning for a sequel, but he’s apparently on a creative role at the moment. After the success of A Quiet Place, a sequel was almost guaranteed by the studio. The first film generated $338.5 million globally against a small budget of between $17-$21 million and was a hit with both critics and moviegoers. 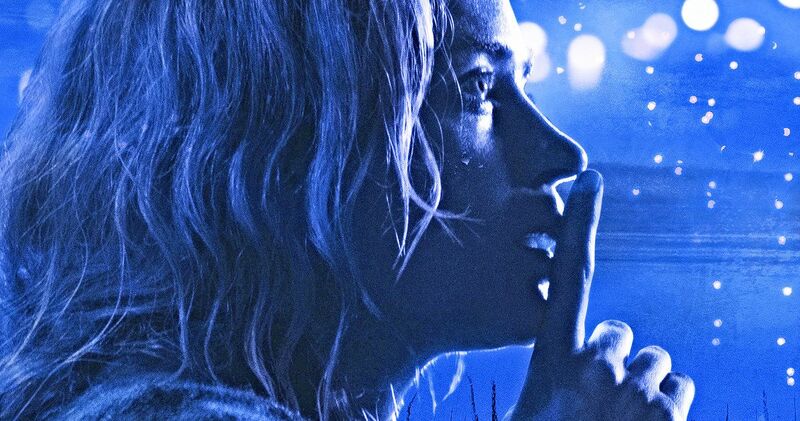 But now that A Quiet Place 2 is on the way, what will it be about? Emily Blunt has a few ideas of where she’d like to see the sequel go. She explains. As Emily Blunt mentioned, John Krasinski is currently hard at work on the script for A Quiet Place 2. The director/writer/star thought that the first film “explored something really special and unique,” which made him not want to get on board for a sequel. However, that has all changed now that he is chasing a “small idea.” He had this to say about writing A Quiet Place 2. Millicent Simmonds even chimed in with her own ideas of where A Quiet Place 2 could possibly go. The young actress thinks that a prequel idea could be cool, but one that would explain the origins of the aliens. She then went on to say that another family could be “working on the same problems” that the Abbott family went through in the first movie. Simmonds’ last idea is probably her best, where she wants to see the kids as they grow older to see if a solution is ever figured out. A Quiet Place 2 hits theaters on May 15th, 2020, so John Krasinski has a while to figure out all of the specifics for his new story. One can easily understand why the director/writer/star didn’t want to initially get involved with a sequel because of the immense pressure to come up with something that is as good as the first installment, or even better. Whatever the case may be, Krasinski seems confident that he has figured out the right way to move the story forward. Let’s just hope that he starts sharing some of those ideas in the near future. You can check out the interview with A Quiet Place cast over at Entertainment Weekly.